Survation Qualitative Research provides organisations with in-depth qualitative insights to inform decision making and strategy – shaping policies, campaigns and effective communications. We work across all sectors from public services and not for profit organisations to consumer brands, financial services, media and healthcare companies. We use our growing panel of consumers and businesses to provide carefully target samples for qualitative research – anywhere in the UK and beyond. Our qualitative research can reach any audience – from niche and hard to reach audiences (everything from low income households to high net worth) to general population research with users of brands and services. We excel with challenging and sensitive topic areas such as political opinions, housing, health and finances. 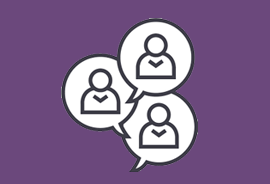 Our senior and experienced team frequently conduct interviews with business leaders, stakeholder groups and opinion formers to bring in expert opinions, shape policy decisions and identify which messages will have most impact amongst these important audiences. We pride ourselves on having intelligent and informed conversations with business audiences, using our reputation for accurate and in-depth data analysis to inform the interview design and reporting. What employers think about housing? Following an online survey to understand employer attitudes towards housing support we conducted qualitative depth interviews to explore the issue further and generate compelling case studies from rich individual perspectives. We were able to successfully able to reach senior business leaders in large organisations including banking, retail and public services. We can reach the opinions of consumers online and offline to gather insights to help organisations and brands make better decisions. We use a wide range of qualitative techniques from traditional focus groups and workshops to online tools including online groups, bulletin boards and diaries and video documentaries. Should vaping be encouraged pubs? We conducted focus groups in Manchester and London to explore the attitudes of pub goers to the issue of responsible vaping in pubs and bars. Our research highlighted the complexity of the issue from a consumer perspective and the lack of knowledge of the health implications of alternatives to smoking. The team made clear recommendations about how to engage the public in this complex topic.